House justice committee chairperson Reynaldo Umali has this to say to Gov. 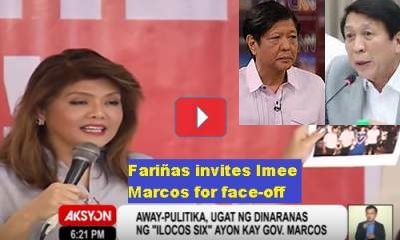 Imee Marcos’ quest to free the Ilocos 6; “They should not manipulate justice system for questionable ends. 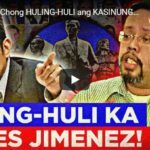 This is prostituting the Constitution and manipulation of the judicial system.” If for Umali, it is prostituting to seek intervention to the right channel, what if Gov. 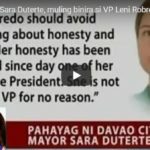 Marcos goes directly to the President? [VIDEO]: House justice committee chair Reynaldo Umali holds press con on Ilocos Norte tobacco funds probe. Umali hit Ilocos Norte Governor Imee Marcos for allegedly disrespecting the Constitution. This is because she attempts to stop the congressional probe into the alleged misuse of local tobacco funds for her people to be free first. He reacts to the omnibus petition filed with the Supreme Court by Marcos and the 6 Ilocos Norte officials. The Ilocos 6 members are currently detained at the House for giving the best answers they know during the congressional probe. The Marcos camp’s omnibus petition urges the SC justices to take over the detention case that is still pending before the Court of Appeals. The CA grants their request to order the Congress to provisionally release the 6 provincial officials. However, the House leadership refuses to honor the ruling. So, naturally, the next step to do is to seek the intervention of the SC which Marcos did. Majority leader Rudy Fariñas also challenges his political rival for a face-off to answer his allegations. 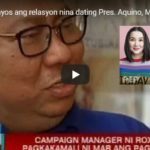 Fariñas swears to battle Marcos’ accusations in a separate press conference. Naturally speaking, the media battle is on. What does the Rules of Court provide re the case? 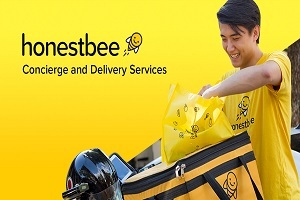 I think the lawyers of Imee r doing right. “They should not manipulate justice system for questionable ends. This is prostituting the Constitution and manipulation of the judicial system.” umali said. Aren’t the AQUINO STOOGES in the congress doing the same ‘manipulating the justice system’ besides Gov Imee’s last resort to be heard is the high court?